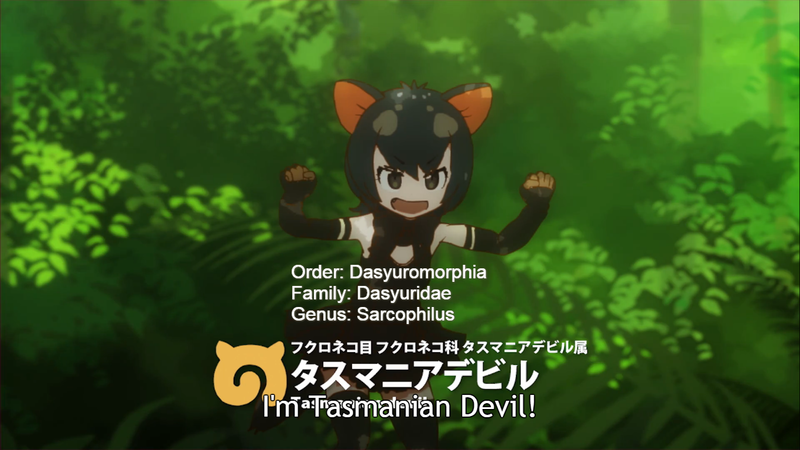 Kemono Friends - Huh? 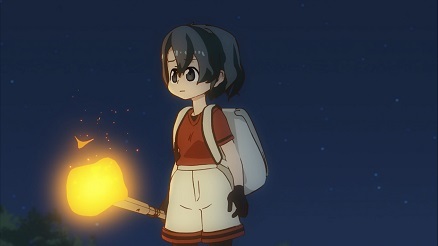 Kaban-chan, you don't pant? I objected to this. I objected to it violently and with no mercy. Of course, I was shouted down. 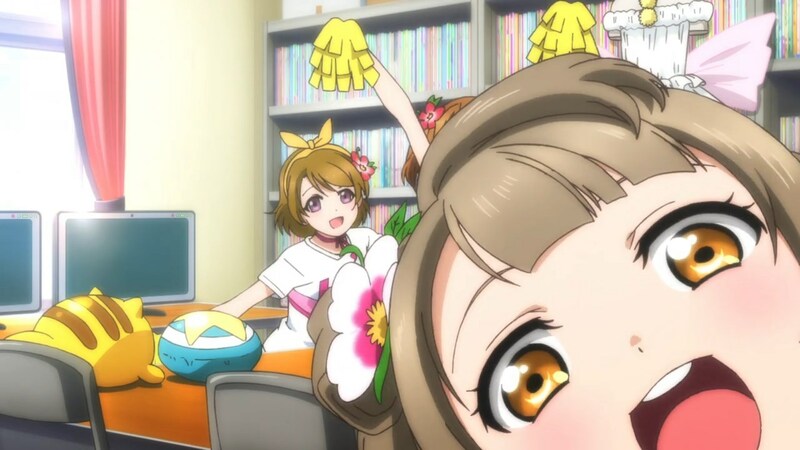 As with the last time we plunged the depths of Crunchyroll- for those not keeping score at home, that would be Hi☆sCoool! SeHa Girls, of course- we actually have an account there, so all our screencaps of the anime are of the highest quality available. Which, in this case, is 1080p. Yes, 3DCG anime in 1080p. We really are spoiling you lot rotten. Again, click the images to embiggen them and make them stronger. As for the mobile app screenshots, as the game is no longer running we had to get all archival on it, so they're mostly taken from 4Gamer's coverage of the game, with other screenshots coming from Yahoo! Japan and Dengeki Online. Obviously if Nexon revive the game we'll hastily rewrite this and get our own screenshots, so please look forward to that. Oh... And a special thanks to our mystery friend who not only tolerated our Kemonochatter, but shared all sorts of links and info with us that helped us make this thing, and encouraged the writer to put it together. We thank you. And ta also to TheOpponent who pointed out it was trending on Japanese Twitter near the end. POTENTIAL SPOILERS AHEAD FOR THE WHOLE OF KEMONO FRIENDS. Who saved anime in 2017? Well, we didn't see a second season of Nichijou- again- so not that. HeartCatch! Precure was 2010 even though I only started watching it in late 2016, so that's out. 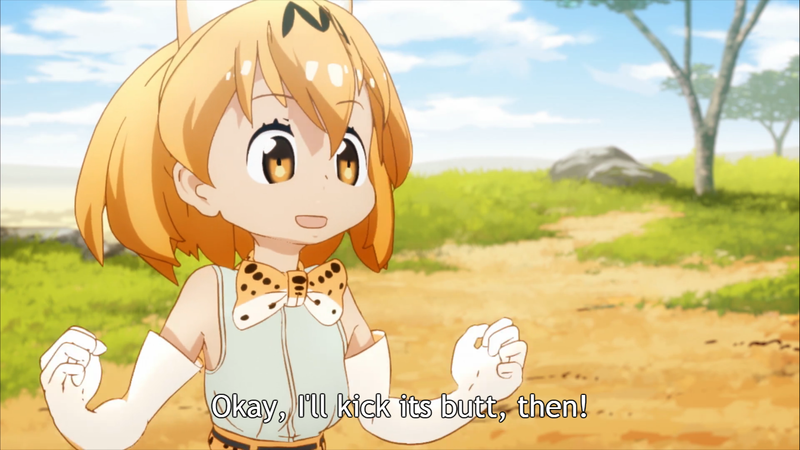 And Jojo's is still (still) on my list to watch, so the answer must be Kemono Friends, right? [Oh come on, it's not even May yet! It's too early to call it! 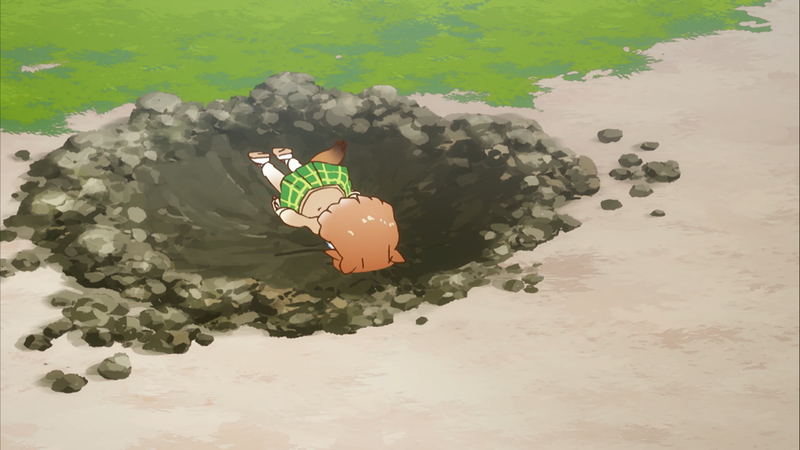 One fine day in February, about half of my Twitter feed abruptly transformed into a Kemono Friends hype factory. It was sudden, and it was brutal, and would only get stronger in the weeks that followed, with the most amazing fanart to ever grace Twitter sprouting forth. After poking about, and being told by a friend that the show was absolutely within my aesthetic, I gave it a shot and found that I, too, was not immune to the near-hypnotic draw of this weird, weird show. Such is its power that GoodSmile didn't wait for a complete prototype to sell its Serval Nendoroid. It's got bloody illustrations instead of photos! Why wait to get a license to print money, after all! Even more, the final two episodes were trending topics on Twitter in Japan. It's serious as heck! As I'm sure you're thinking already, though, this is not a video game. What is it doing on Gaming Hell? Aside from looking like it's a video game, due to being 3D animation rather than 2D- direction duties were handled by TATSUKI who did the improv-MMD nonsense Tesagure! Bukatsu-mono & TBM Encore, which may explain some of that, and visual direction was by apparent newcomer Yoshihisa ISA- the show is based on a video game! Specifically, an iOS and Android game that had its service shut down about a month before the show aired. ... Yep, this is a strange case alright. So let's gather up what material we could about this now-dead game! This is, it could be said, a video game after all. 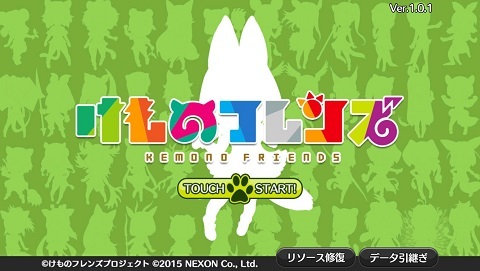 The Kemono Friends app debuted on Android on March 16th and iOS on March 20th 2015 (and closed on December 14th 2016) and as the first part of a multimedia project, had quite a few big names attached. First and foremost, character concepts were by Mine Yoshizaki who's best known for the huge Keroro Gussun / Sgt. Frog but also work by Konami such as the Detana!! TwinBee manga and the Otomedius games. 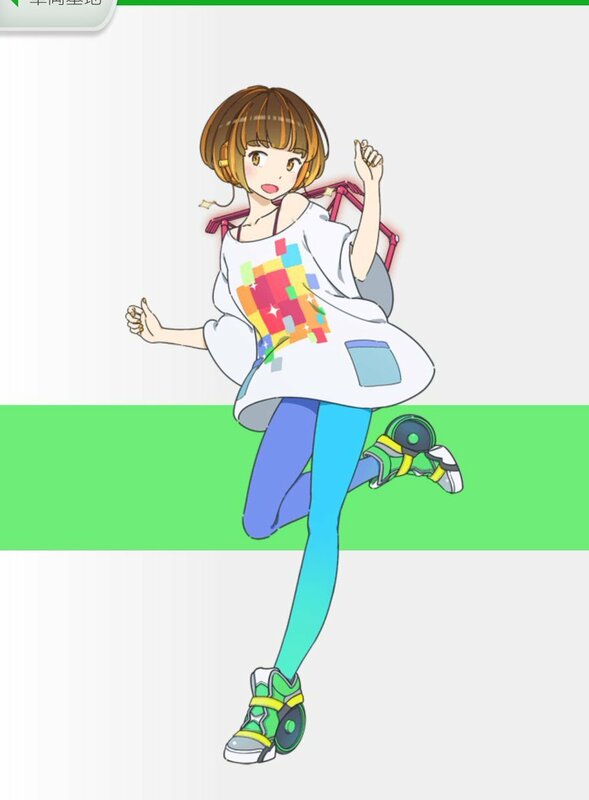 On the voice-acting front, some of the talent included Ai Nonaka (Kyoko from Puella Magi Madoka Magica, Honoka from Dead or Alive 5 Last Round) as central character Serval, Naomi Oozora (Chieri Ogata from The Idolm@ster Cinderella Girls) as Prarie Dog and most relevant to us, Aya Uchida (Kotori AKA Burd Gurl from Love Live! 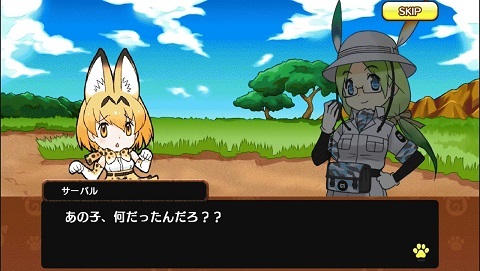 but more critically, Mai (on the left) from Ai Mai Mi) as an important park ranger character. The game itself was published (and apparently developed) by Nexon, who operate games from other developers you may have heard of, little things like Maple Story, Mabinogi and Tree of Savior. Basically, a big deal! With those kinds of names on-board, you know that this is one of those big ol' multimedia project, set to take every medium it can barge its way into. ... Oh, I should probably give the outline of the game. That might help. 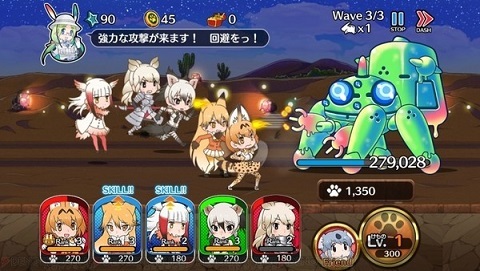 The entire Kemono Friends project is set in a gigantic safari park called Japari Park, full of Friends- animals turned into half-human hybrids (read: cute girls) by a strange Sand Star meteor- and the mobile game established it as under attack from strange creatures called Ceruleans. 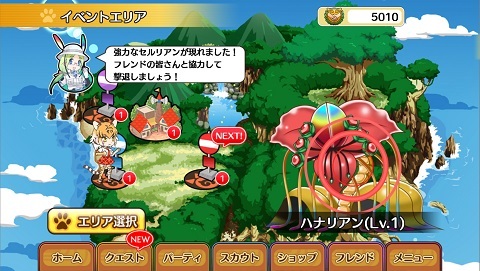 The game took the standard free-to-play mobile formula of playing short missions with a selection of characters, in this case the eponymous Friends, to earn stuff and progress through the story scenes (an example of which you can see over on NicoNico). 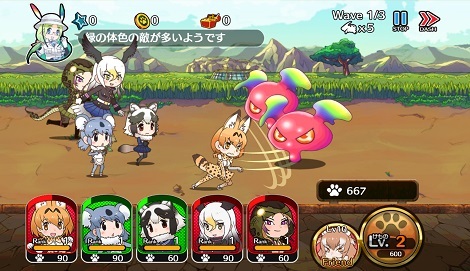 Kemono Friends' actual gameplay was in the 2D tower defense mould, so in our limited experience that brings Metal Slug Defense and Chain Chronicle immediately to mind, but from what we've seen, this had a few little foibles to make things a little easier. Rather than deploy units that need to be replaced upon death as in MSD, you got your selection of five Friends from the off and revived them with Friend Points that gradually accumulated over time, keeping your position in the stage so you wouldn't need to retrace your steps. Like Chain Chronicle, stages were split into rows, but without the rigid tile structure of Sega's game, instead having freeform rows for each Friend and having the stages scroll much further like MSD. Finally, each Friend had MSD-style special skills that charged up over time, but using one would let you chain another one immediately, with the key to strategy being timing it so all five Friends would link their attack together. From what we could see, the main roadblock was that each final wave of later stages ended with a boss Friend with an absolutely ridiculous amount of HP, which could lead to Time Overs! For the record, Time Overs didn't get you anything, the results screen would only appear upon successful completion of all waves (here's a clip of someone succeeding in a stage with less than a second to spare, and here's a less successful run). Aside from that, it seemed like a pretty standard mobile game, with the ever-present Gacha mechanics in place, this time in the form of Scouting (which played an animation of someone gazing across the park with binoculars- cute, here's a pull video if you want to witness the agony of defeat first-hand), and you could level up your Friends by combining two of the same type, etc. etc., you've seen this before. The best JP overview we could find was this review on Appget which goes over the basic game flow and some of its foibles. 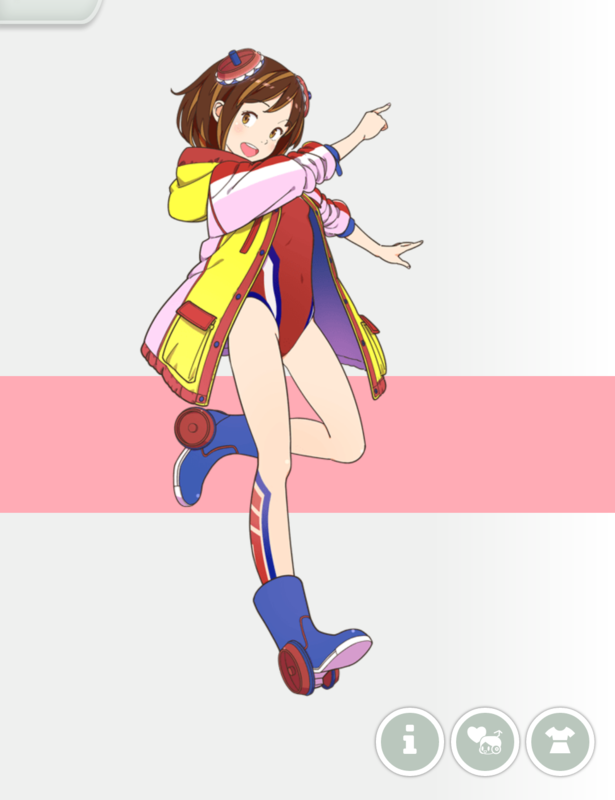 As far as aesthetics go, while the character animation is very, very cheap-looking, the character designs are quite distinct for a mobile game, with a definite chibi/SD style, and it's one of the better 'girls but they're X' concepts, at least character design wise. 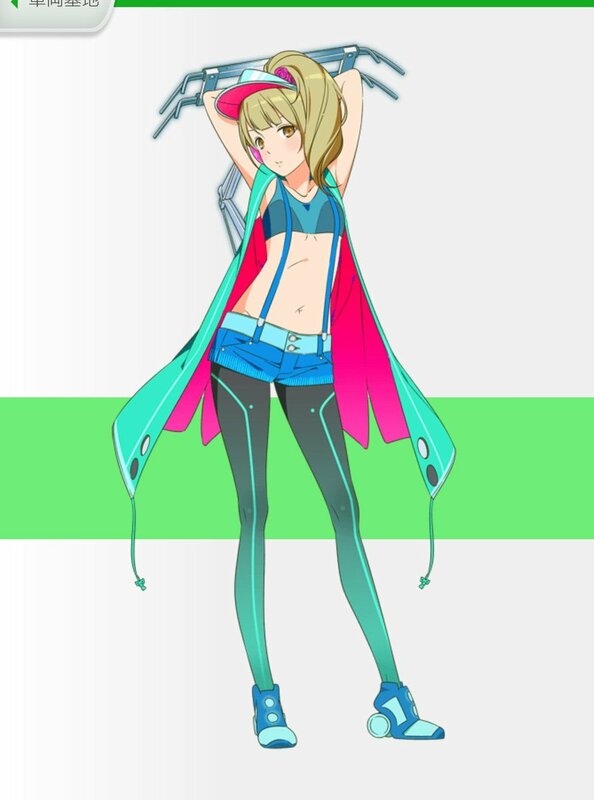 To look at a contemporary in the mobile game field, there's Station Memorial ('girls but they're train stations') which basically amounts to cute girls with bits of metal stuck to them (or goofy shoes, as with that third one) 'cause they're related to trains. 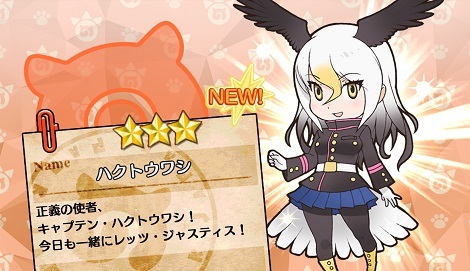 I completely understand the appeal of those designs, but the ones in Kemono Friends seem a bit more logical, a bit more sensible, and appeal more to me. The feline-based Friends are obviously gonna have the big ears, for instance, but there's also some clever little touches, like snake Friends having hoods, the bear Friend carrying a giant paw to attack with in lieu of having actual paws, etc., and these animal attributes also play into what they're good at. Definitely a niche kind of thing, but I find the designs a lot cuter and more endearing than other mobile games like this. Obvioisly, there's only so much we can say about a game that's no longer available in any form beyond aesthetics, but looking at its history via 4Gamer we can at least chart its history and try and surmise what went wrong. In its first two weeks, it managed to hit over 200,000 downloads and did its best to bolster that success with a few collaboration campaigns such as the all-too-obvious Keroro Gussun campaign and the less-obvious Ghost in the Shell ARISE collab... And then they kinda stopped. Not that crossovers are a necessary indicator of success in the mobile business- see Love Live! iOS which keeps on truckin' with no crossovers of any kind- but it certainly seems to say something that this kind of thing tapered off quick. In particular, looking at figures for some of the other big Japanese free-to-play mobile games offers a little insight (in a roundabout way, as much as we can muster with what research we can find- the Gaming Hell way!) into how Kemono Friends truly fared. Let's go back to that 200,000 downloads figure in its first two weeks. Not too shabby! ... 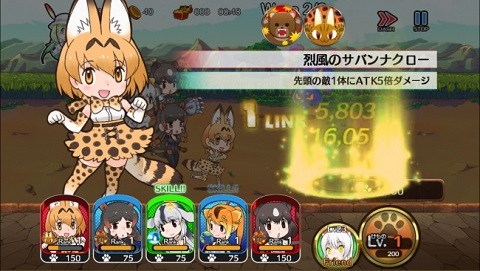 Except Monster Strike, in 2014, amassed 500,000 new users in the same amount of time Kemono Friends hit the 200k mark. Fate/Grand Order did 3,000,000 in only twice the amount of time. 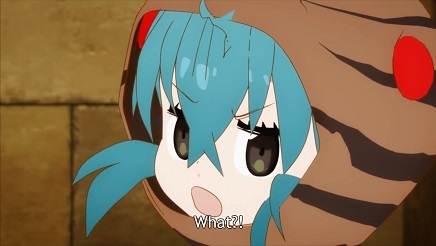 Harder to get exact figures for this one, but Chain Chronicle amassed 4,000,000 downloads in about a year, which if it had kept up its pace, Kemono Friends would've just barely got over halfway towards in the same timespan, and let's not even work the maths on Granblue Fantasy raking in 10,000,000 DLs in 2 years. Obviously none of these are particularly solid numbers, nor are they necessarily fair- while Chain Chronicle and Monster Strike were new IPs, Fate/Grand Order had the advantage of being based on a successful franchise- but they do at least vaguely illustrate how Kemono Friends was performing, and the most likely reason for it getting shuttered, that it just wasn't doing well enough. The mobile game racket is rough, and if you don't make the numbers, you get shut down (see also: EN Chain Chronicle, Angry Food Friends, Kagen Shojo). Indeed, Nexon's statement on shutting the game down basically says the KPIs of the game were not what they wanted. As a little pit-stop, after the mobile game's release but before its shutdown and the anime adaptation, there was a manga too. 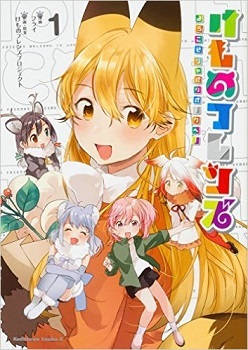 Serialized in Monthly Shonen Ace between May 2015 and March 2017 (ending during the anime's run), it follows on from the story of the game, focusing on a new Japari Park caretaker, Nana, who's assigned to both Serval and the uncooperative, lazy Exo Red Fox (a similar character reappears in the anime, voiced by Suzuko Mimori, better known as Umi Sonoda from Love Live! 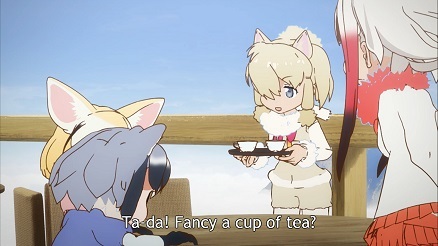 ), at a time when Japari Park isn't under attack from Ceruleans for once, at least briefly. Like the mobile game, however, there's no English version, so I won't tell you where to find it. Anyway! 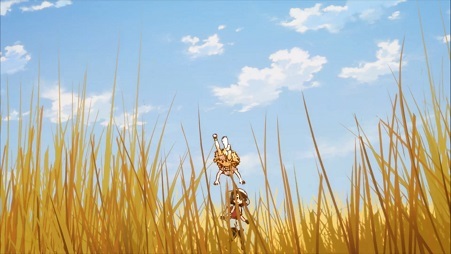 While the game was still in operation, an anime was announced in March 2016. That anime- that weird, hypnotic thing that lured us here- is the focus of the rest of this piece. 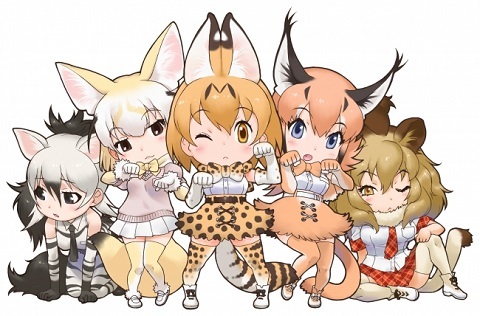 Broadcast weekly between January and March 2017, the Kemono Friends anime takes the same basic premise of the mobile game- Japari Park itself, anthropomorphised animal girls, Ceruleans, etc.- with a new protagonist instead of the player. A girl- nicknamed Kaban / Bag-chan by Serval for her backpack, and voiced by Aya Uchida- finds herself in Japari Park with no idea where she is or what kind of animal she could possibly be. 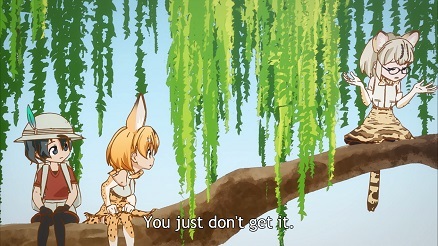 The playful but slightly dim Serval (now voiced by Yuka Ozaki, a newcomer) convinces her she must be an animal Friend of some kind, and so agrees to help her find the Japari Library far from the Savannah area she's in. This leads into the standard weekly set-up where the two of them, along with Lucky Beast, a little robot buddy who'll only talk to Kaban, trek through another area of the park, meeting and helping other Friends along the way. 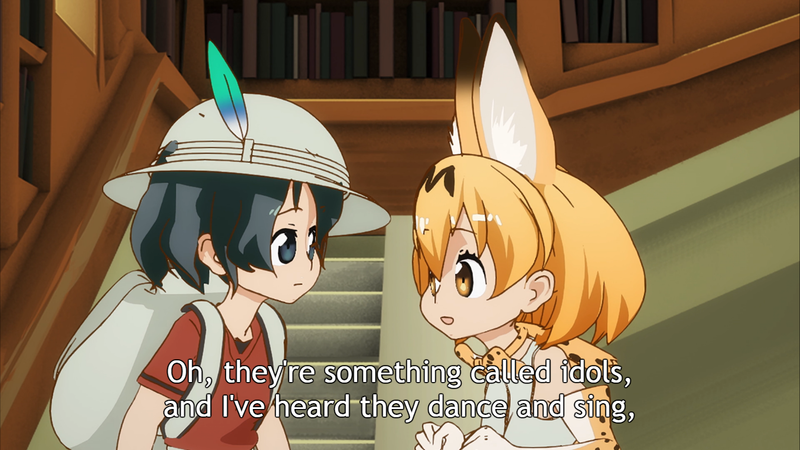 At the same time, Fennec and Raccoon are chasing Kaban and Serval, always one step behind, because of something they think Kaban stole, It's as simple a set-up as you can get, and only starts to deviate in the last handful of episodes, but aside from that, it's a rotating roster of Friends to meet and instantly want a Nendoroid of. Maybe. It doesn't sound like the kind of show that would light the internet on fire- the earliest discourse on the show said that it had the effect of causing one's IQ to melt- and yet somehow, mysteriously, it enraptured not only half my Twitter timeline, but me as well! What the heck? I don't get it!! But I'll try and explain the appeal of this baffling show. Personally, there's three elements of Kemono Friends that make it as weirdly entrancing as it is. The first, it has to be said, is the inherent cheapness of the whole thing. 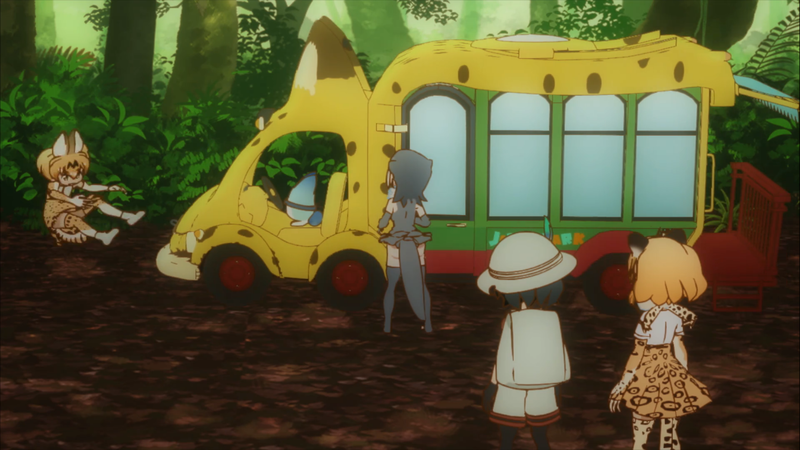 The show had 500 days worth of work put into it, was made by 10 people, with a budget so small the Japari Bus's wheels don't move in the intro- so basically, yes, this was made as cheaply as possible. This leads to a lot of unintended humour visually, with most of the action sequences seeming really improvised with what limited resources the creators had, stiff animation for things like running and jumping, characters clipping through stuff (and hair clipping through Kaban's hat), a lack of impact or solidity between characters and environments and some pretty goofy-lookin' expressions abounding. Oh, and that GIF of Serval getting run over by the Japari Bus you may have seen. I think I'll send you to someone who knows what they're talking about to discuss whether that could inherently be better than having the show looking more polished on a technical level, but from a personal perspective, it's a little part of what drew me in. It is very clearly a show doing its best with what it has. 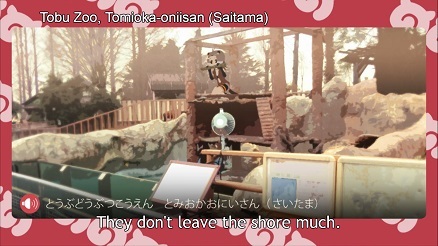 Next up is the most talked-about element of the show, the fact that it's hinting at having a post-apocalyptic or at least post-calamity setting, with humans completely out of the picture except for Kaban. Well, I say 'hinting' but really, it is the text, not the subtext, of the show. 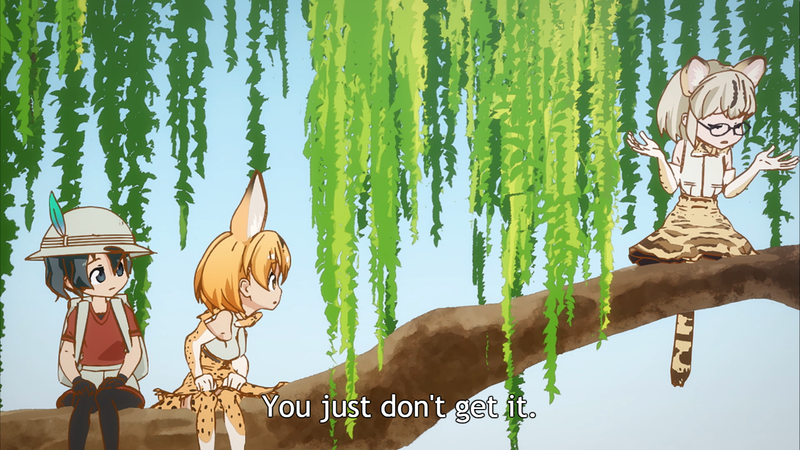 You can't call it hidden or whatever when a character literally says 'So she wasn't annihilated', referring to Kaban, as early as episode four. Oh, and the ending song from episode 2 onwards is accompanied by black-and-white photos of abandoned amusement parks. So, bit obvious. Perhaps it is unexpected if you've only seen promo shots of the show, but once you start watching, it's right there for you, very much on-the-nose. It does a few things more subtly- the infrastructure of the park isn't in great condition which is mostly in the background (like the rust on metal structures) but when you get to finding a Japari Bus split in two, a bridge completely demolished and a cafe that's had no customers in a long, long time, it brings it to the forefront just a little, as do later episodes which introduce Lucky Beast's mystery transmissions that fill in a few details. What it does do that's interesting, though, is it plays with the fact that most of the cast were once animals and don't think like humans- as such, they don't have much interest in knowing what happened here, save for Tsuchinoko because she's a history nerd. So, despite being so obvious and brought out in the open at times, the characters themselves seem oblivious, and so it gives this sense that whatever cataclysmic event happened here is in the background, clashing with the generally goofy and colourful appearance of the thing itself. That leads me into the final element, the obvious one- the Friends themselves. With their designs by the creator of Sgt. Frog, of course they're adorable (although they're now more human-like in proportion, compared to the chibi-style of the mobile game) and the structure of the show is an ideal way of getting as many of them in as possible- each episode is in a new area, with new types of Friends, and so slightly one-note characters that would wear thin if they were in each episode get their time to shine, make an impression, then make way for the next face. 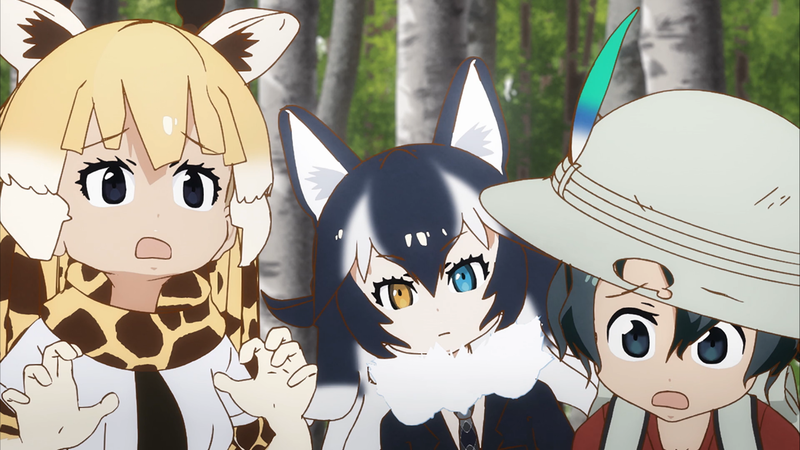 Some Friends fare better than others here- the Jungle Friends don't make much of an impression at all, but later episodes get the irritable and screechy Tsuchinoko, the warbling disaster area Toki, and the cute odd couple Beaver and Prairie Dog. This structure also allows the writers to do different kinds of stories, so one week it's a bit of war games between rival Friends, the next it's a mini-idol drama. 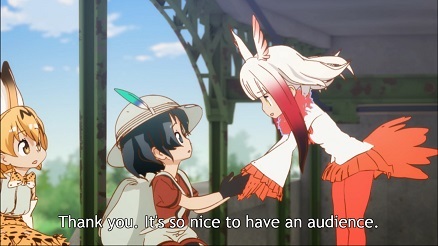 Additionally, part of the charm of the Friends is that everyone's so darn nice to each other, with even the warring rivals being willing to tone it down after Kaban helps them settle things in a less violent way- there is conflict, usually with the Ceruleans, but Kaban usually comes up with an amicable or clever way of sorting things out, and even though she's different from everyone else, the other Friends generally treat her as one of their own. The downside with the revolving-door approach is that they don't get the chance to appear repeatedly (aside from little scenes with Fennec and Raccoon catching up with their prey, and also... Well, you'll see) but it helps to reinforce the vastness of the park, the idea that two Friends may never come across one another again unless they're willing to really go out of their way. 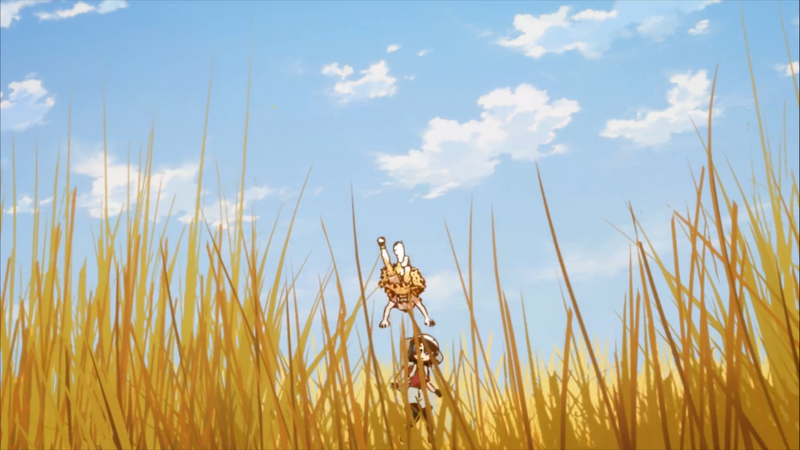 Instead, the only constant characters are Kaban, Serval and Lucky Beast, and while you might think Serval's dimness would get grating, she's inherently charming and positive, going so far as to scale a mountain on her own for her friend, and she's the core of some of the final episode's stronger, dare I say emotional moments. 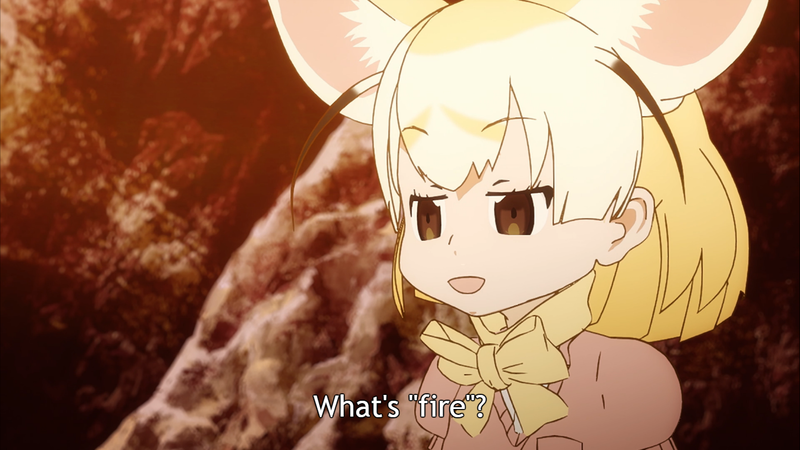 She's also an example of an interesting element of the show's premise- as mentioned before, she's still essentially an animal, so things like fire, battery-powered vehicles, the art of cooking, and the fact that Friends can remove their clothes (which leads to one of the biggest laughs of the show) are foreign concepts to her, as with the rest of them. This plays into a lot of the humour and, again, the fact they don't really register the whole post-calamity thing, and it's a neat little wrinkle on the show's premise. The big caveat with all this, aside from the janky nature of the animation itself, is that it starts slow. Real slow. Offputtingly slow. The first two episodes are extremely slow-paced and make a poor first impression, especially considering some of the more endearing elements, such as the girls being like animals and the more overt post-calamity nods aren't really present in them. It really doesn't help that the show's first 'action' sequence really sets your expectations on how low-budget this thing is. Even I was sceptical when I saw each episode was 22 minutes long, as I was expecting this to be something short-form like SeHa Girls, honestly. 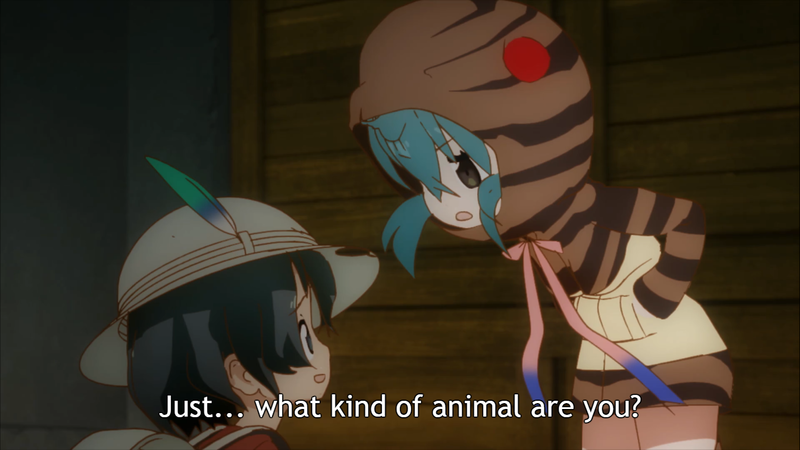 I know me saying 'stick with it' is hardly mounting a strong argument for the show, but once it gets to episode three, the pace picks up a little and some of the more notable and beloved Friends, such as Toki and Tsuchinoko, make their appearance. As the series goes on, it slowly builds up to the last few episodes, which snag the rug from under your feet by treating bits you think are supposed to be dramatic as jokes, then actually getting serious, turning episodes into a bunch of gruelling cliff-hangers. What's especially impressive is the resolutions to these really don't feel like they're plucked out of thin air, and one big moment in particular is perfectly consistent with the show's internal logic, to the point where I thought "Damn, why didn't I guess that?". For a show like this, it manages to get away with some pretty heartfelt moments in those last episodes, and the conclusion satisfies and teases just a little more is on the way. So, those huge blocks of text above probably serve as an example as to why we should never, ever talk about TV shows on this site, but don't worry, still talking here. One last thing is my experience with the show, which went in stages. 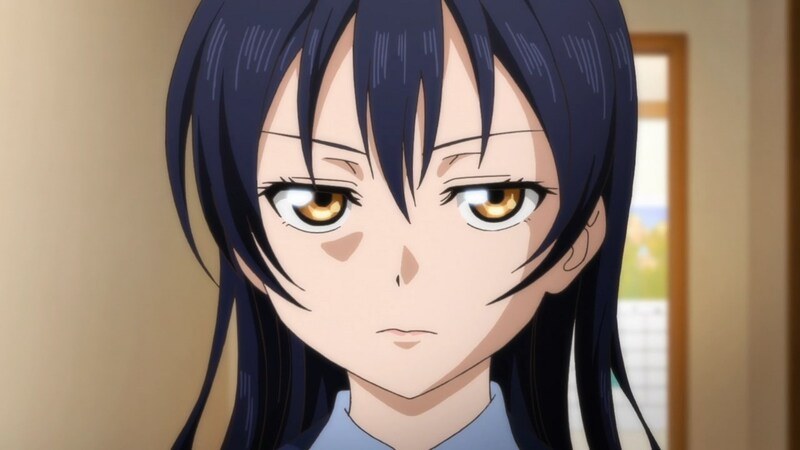 Specifically, it started with casually watching the first few episodes, then catching up in time to see the latest episode, then chomping at the bit being unable to wait that whole week for the next one. That's quite an escalation for someone who watches stuff as it airs so infrequently, the last time I did it was Hi☆sCoool! SeHa Girls, and especially impressive given how rough the show started. It is absolutely not a show that everyone will be enamoured with, what with its ropey budget issues and slow start, and if you're not feeling it after the third or fourth episode, then it probably won't endear itself to you going forwards. For me, though, it was a very pleasant surprise to watch something that absolutely had no chance of being good- a cheapo 3D anime based on a dead mobile app- turning into a charming little highlight at the start of 2017. As for the mobile app, while it was a shame it didn't live that long, it did seem like a typical mobile game, just with more endearing character designs (to me at least) but, if nothing else, Nexon haven't said no to a return based on the surprise success of the anime. Might be a victory for mobile game preservation! Anyway, that's why we got completely obsessed with this weird show about animal girls that aired at 2 in the morning (Japan time) on a weekly basis in the first half of 2017. Maybe you'll enjoy it too. Be like Serval, and enjoy life, and maybe Kemono Friends too. [Why didn't you save us all a lot of time and just tell everyone we're trash? This way's more fun, isn't it? 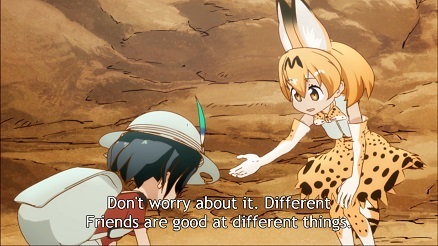 And hey, you said we're trash, meaning you as well, so spill it, which is your favourite Kemono Friend? Now, what other anime can we cover with a super-flimsy link to video games? 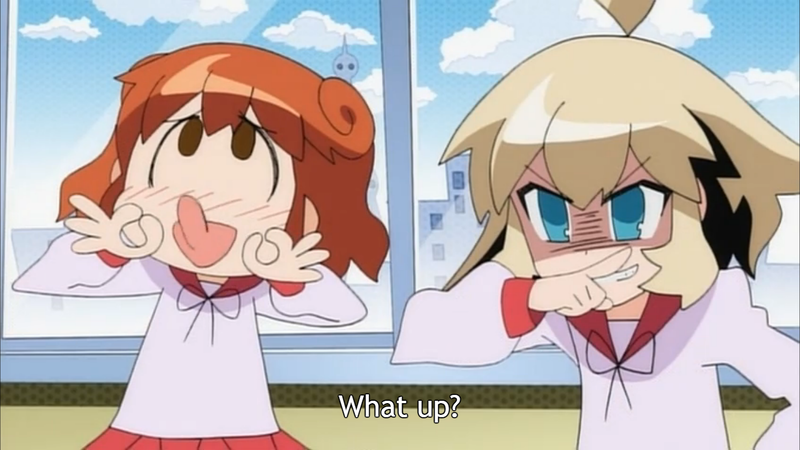 Can we get Teekyu on here somehow?